Those of you familiar with Andrew King’s previous book, Speed Up Your Site: Web Site Optimization, might assume that this latest offering, Website Optimization: Speed, Search Engine & Conversion Rate Secrets, is simply an update and refresh of the earlier book. However, this is not the case. This time around, King isn’t referring to “optimization” strictly in the speed and efficiency sense of the word—instead, in this book King focuses more on how to optimize the overall effectiveness of your web presence, looking at search engine positioning and marketing your site in addition to speeding up its performance. The book’s preface begins with two quotes about hypothetical websites: “We’ve had a website for years now, and it hardly pays for itself,” and “Our site’s pulling in more than 30% of revenue, at a far lower cost than our other venues.” Throughout the book, he describes techniques and strategies that should help a site’s impact mirror the latter quote much more than the former. The book is organized into two main parts. The first part covers search engine visibility and the marketing aspects of site optimization, explaining how to best go about making sure that a site is positioned highly in search engines, and making sure that users stay on your site once they’ve arrived. In the first chapter of this section, King details how to improve a site’s positioning in search engines’ natural, unpaid results. Citing research that demonstrates that the majority of people don’t scan search engine result pages much beyond the first few sites, he provides simple steps to help sites reach these valued top spots. 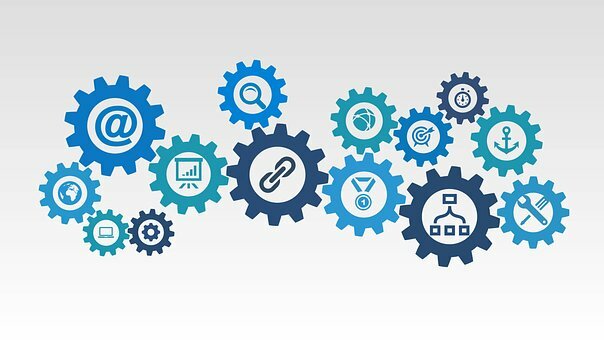 These tips focus on tools and techniques to help discover productive keywords and key phrases, how to construct pages that will place highly for searches for these words, and tips to help generate inbound links from other sites. Another chapter in this section provides a thorough discussion of pay-per-click (PPC) advertising with services like Google AdWords and Yahoo Search Marketing. King starts with a brief summary of the similarities and differences of the most prevalent PPC programs, and then provides a thorough methodology and detailed, quantitative metrics to assist in maximizing the return on one’s investment in these programs. Each of the aforementioned chapters is followed by a case study where the concepts previously covered are put into practice. These sections do a good job of showing the process of employing the procedures outlined and how they can make a significant positive impact on a website. Having a highly visible site does little good unless one can convert visitors to customers, though. King concludes the book’s first section with a chapter providing tips to enhance a site’s conversion rate, including suggestions on how to increase a site’s apparent credibility; giving important content a good, prominent position on the page; and writing engaging copy that uses persuasive language. In the second section of the book, King concerns himself with outlining steps to make sites as responsive as possible. After noting the continued importance speed plays in user’s perceptions, he notes that even with the continually decreasing proportion of users with narrowband connections we still must pay attention to how quickly pages load. He does note, however, that with the increasing number of people on fast connections, small files sizes are less important than addressing the latency involved with loading a large number of objects on each page or employing emerging technologies such as Ajax. With this new emphasis on reduced latency, he outlines strategies to limit the number of object requests by giving tips on compressing and minimized the number of CSS and script files associated with a web page. Techniques to employ multiple domains to get around most browser limitations of two simultaneous downloads per hostname and delaying script loading to improve perceived load time are also discussed. He also discusses how to effectively employ HTTP compression and caching. Finally, he talks about how content delivery networks, like Akamai, geographically distribute servers. King ends the book with a chapter detailing metrics to measure the effect of one’s optimization efforts. Among the topics covered is the use of log analysis to ascertain the effectiveness of marketing efforts, and tools like YSlow and IBM Page Detailer to test a site’s response and load times. The book is intended for three distinct audiences: Web marketers, developers, and managers (project managers, site owners, etc. ), and this book certainly has useful content specific to each of these groups. While some topics, like confidence interval testing pay-per-click ads (complete with mathematical formulae), are covered more thoroughly than others, this is to be expected in a book that covers as many separate topics as this one does. Additionally, King also provides ample footnotes throughout the book that provide avenues for further exploration of some of the less thoroughly covered topics. The book will also prove useful to those wishing to learn a little about aspects of site optimization that is outside of their domain of expertise. For example, a reader whose background is mostly centered on marketing might very well be interested in the technological site enhancements that can positively impact marketing goals; and the same could be said for technologists interested in how their skills can best be used to improve a site’s business objectives. The book’s case studies will be especially useful for these readers, since they show how each of the aspects of web site optimization tie together. Website Optimization will prove useful to anyone interested in increasing the visibility, responsiveness, and profitability of their website. King provides a solid overview of tips and strategies that are focused on improving a site’s performance, as well as the tools and techniques used to implement these strategies and measure the positive impact that they will have on your site. Andrew Stevens grew up in Dublin… no, the other one in Ohio. He currently resides in Bloomington, Indiana.